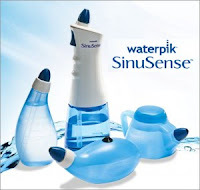 A few months back we launched a microsite to build awareness for Waterpik's new line of sinus health products, also known as Sinusense. Since then we have rolled the contents of the microsite into a more content rich format that now lives at http://www.waterpik.com/sinus-health/. Check it out! El modelo GMT-Master II de la réplica Rolex GMT primera se replicas relojes Patek Philippe ha creado para hacer un uso profesional. Y gracias a su excelente funcionalidad y estilo con delicadeza, este modelo replicas relojes iwc se ha convertido en GMT relojes de lujo globos-trotters.